Right it seems that if you criticise The Tartan Army for being abusive, offensive and generally racist then you have to be prepared for a deluge of abuse, offensive and racist comments from the tartan army foot in mouth Soldiers. Or better still play it on a instrument and it kind of becomes a self fulfilling prophecy. Sing it and you could find yourself facing down legions of louts wearing plaid. Such is the egos of the Tartan Clad Clots that they assume the Tartan Army can do no wrong, not now not ever. You even get the excuse if we are not as bad as …. This "wee bit pregnant" style excuse fails right off the bat. Even just banter fails as the authorities and tartan army fans have ignored this reasoning from old form and Edinburgh clubs. So for the Tartan army to it now is evidence of a special kind of hypocrisy. This is not to mention the excuse of non violence well sorry words can be violent too and to compare any member of the Tartan Army to Rosa Parks and M.L.K. is nothing short of delusion. I wonder who sainted these ambassadors of abuse. What evidence mandates the self classification of the Scottish National Teams Loud Mouthed fans. I look at scenes from the last 50 year's and I am not seeing much evidence that backs up the "Angels In Tartan Tammies" tag. To answer my own question and to despel the accusation of West of Scotland bias. I will repeat my veiw. The lack of Supporters from the big two metropolitan multicultural centres of Scotland means that Scotland is now followed by the backward country bumpkins that defend Bernard Manning! Uneducated bigots who armed with one piece of correct if bot unused information will still manage to embaress themselves. So with the Commonwealth Games Tickets going on sale I would urge the Tartan Army to stay away from the events next year. 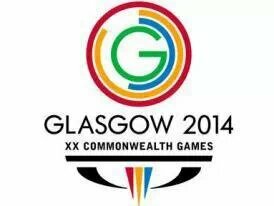 The games will have athletes from nations the tartan army don't like. England will be represented as will India, Pakistan and several African nations. In fact Tartan Army Soldiers a lot of the athlete's and visitors will not be like petty minded Scottish bigots, a lot of people present in arenas won’t even be Scottish. So why can I make the statement that the tartan army is populated by sub humans outwith the main multicultural centres of Scotland. Simple most Celtic fans do not support Scotland due to a mistrust of the SFA going back to Jorge Cadette! Rangers fans don’t trust the sfa going back to unofficial use of tv evidence to punish a Graeme Souness. That is not to mention the ethnic cleansing employed by the Tartan army to get rid of old firm fans. Edinburgh fans are similar they tend not to be so happy that to see Scotland at home they have to travel along the M8. These matches should in their view be played in the Capital not 40 miles away. There is of course an additional reason. Glasgow and Edinburgh have large multicultural populations and have developed into tolerant societies. Now I am not going to hold up the old firm as paragons of virtue. Nor am I going to suggest that Edinburgh is a Martin Luther King City of tolerance. Yet in comparson to The shires within the shores of Scotland the advancement of Glasgow and Edinburgh is undoubted. In Glasgow and Edinburgh folk respect the anthems of others and at least realise that if you play a verse and a chorus it is easy to assume it to be verse one. Certainty the Metropolitans don’t automatically assume that the unsung lyrics that could cause them offense is the very silent words being sung in their own heads. As I said in previous posts the Lichtenstein Anthem being booed automatically discredited any anti-Marshall-Wade-ism, unless someone shows me that the first verse of “Oben am jungen Rhein” (Up above the young Rhine) is actually a battle cry for the men of Lichtenstein to attack Dundee! To decry a musical score is akin to the burning of Beatles records by rednecks. I wonder how many of The Tartan Army have spent the last week burning all their Nike Clothing and Footwear because England wore Nike stripes. It’s ludicrous to extend a genuine rivalry the oldest rivalry in international football to this level. Sadly though I think by decrying the big city teams branding Rangers, Celtic, Hearts and Hibs as bigots/racists and bad eggs the Tartan army has failed in its much vaunted intention to police itself. As seen at Wembly last week the tartan army is devoid of the big city fans and filled with educationally sub normal bigots who fueled by alcohol and ignorance continue to embaress Scotland. Much lauded laws were introduced to combat ignorance. Yet they are hardly used outside Glasgow or on Non Old firm fans and not on the Tartan Army. The Tartan Army are all members of the Scotland travelling fans and as such are on a database so they are easily traced. They booed they embarrassed they caused it so BAN THEM ALL. The twenty-five thousand who misrepresented the Scottish Nation should be at least shamed by association. Strange thought though how does Englishman Stewart Regan feel having his national anthem booed by fans paying his wages. Wonder how new league chief Neil Doncaster feels about this too. Oh sorry Regan and Doncaster have I just reminded the loudest bigots in Scotland that your not Scottish. Twenty five thousand went to Wembley and three arrests showing that not only is ignorance not a excuse for breaking the law but ignorance is not against the law, well not in England anyway. In Scotland there is a task force looking into it. Maybe they should look into the self-beatification of the Tartan army. The same Government who are bringing in minimum pricing for alcohol units because it wants to reduce alcohol abuse in Scottish society celebrates, indeed uses a whiskey fuelled mob of ignorant bigots as “Cultural Ambassadors” what next Andy Murray as a stand up comic! I don’t get embarrassed often. Then again I am pretty much unshockable. I am shocked and embarrassed today though. Its not by a single incident though its more the accumulation of events. Sadly though these feelings I have and the history make me have real concerns. Those who read my blog on team busses will know I already have concerns about the quality of sports fan and society in Scotland today (not John Mckay). Events at Wembley last night take these concerns further. The seemingly acceptable behaviour of booing national anthems has not just grown arms and legs in the last decade but is now so “Scottish” that this practice sports a Tartan Tammy, ginger wig and a cheap kilt! It has developed into quite frankly racism. Gone are the days of a welcoming band of alcohol fuelled freindly party lads. You know the photos of tartan clad, Sun burnt Jocks kissing Policewoman has gone. It’s been replaced by the spectacle of national anthems being drowned out by fans. 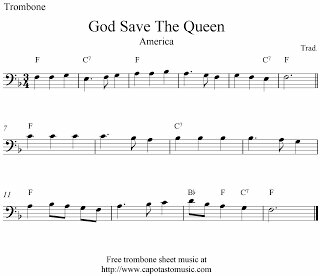 Now before I get comments saying this lyric or that verse the same uneducated Scottish fans booed the Liechtenstein national anthem because it shared a musical score with God Save The Queen, so to be honest the pseudo-nationalists taking the hump at certain lyrics has been “sent homeward to think again”. Its only football fans I hear you say. Yes at the moment but football fans are part of society too. This cultural force walks beside us day in day out. Now in less than a year the same citizens will be taking their families to Commonwealth Games events and whisper it ENGLAND will be represented and stand a good chance of winning some medals. Cue the boo boys passing on their ideals to a new generation and embarrassing a nation live on tv around the world. It’s not national pride and surely does not reflect Scotland. It’s just the loud mouthed self appointed cultural ambassadors Scotland has developed over the last few years have let the side down. In the last year a agenda of anti anything not Scottish has infected sport. Rangers hired out amazing facilities to a few European teams visiting to play Celtic in European competitions, they were accused of disloyalty to Scottish Sport. Let’s not get into the extra political agendas that were attached to this, just deal with the facts. Rangers as a business are entitled to rent out their facilities to anyone who asks. Also on the run up to the Commonwealth Games Rangers promoted the superb sporting facilities around Scotland to the.world. I do have a theory the Tartan Army has lost a large section of fans and been high jacked by a new breed. The West of Scotland branch of the tartan army has lost members, they have been replaced by members from the Provences. The members of the tartan army from the main cities Glasgow and Edinburgh has reduced and these places have been filled by provincial fans. I have travelled around Scotland been to many games at many stadia. In my experience the worse examples of offensive behaviour are outwith Glasgow and Edinburgh. Incidentally and sorry buddies but I include Paisley in with Glasgow. In my experience you want to experience the mindset of the 1970s complete with its sexist, racist any ist then go visit Lanarkshire, Ayrshire, Tayside or Grampian. I am not proud of this but I have heard words on a bus in Aberdeen recently that could of came from the script of “Love Thy Neighbour” in 1970s. Why is this the case simple the jingoistic nationalist racist disease is infecting society shocking it. As long as the Tartan Army are getting away Scot free (no pun intended) then its only natural that this behaviour is seen as allowable, god forbid normal in the rest of society. So its time the authorities stopped seeing booing national anthems as examples of the jolly japes of the Jocks and started seeing it as an example of the behaviour we all want to rid society of.